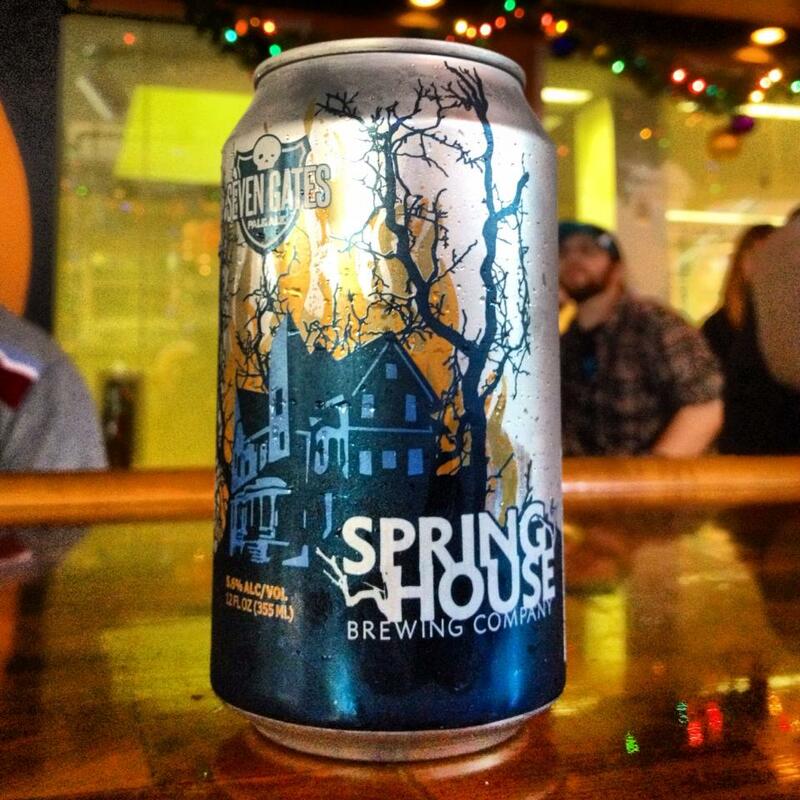 Spring House Brewing Company brews some scary good beers. With a background in chemistry and inspiration from the realms of sci-fi and horror, owner and Brewmaster Matt Keasey has created everything from devilishly dark stouts, like Big Gruesome and The Martians Kidnap Santa!, to hellishly hoppy IPAs, like Citra Must Be Destroyed and The Astounding She-Monster. 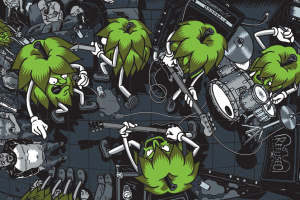 But these frightening fermentations were all preceded by the first beer Keasey brewed – Seven Gates Pale Ale – named after a legend as local as the brewery. 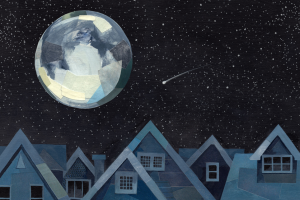 “The story behind the name comes from an urban legend in York, PA, where I grew up,” Keasey explains. 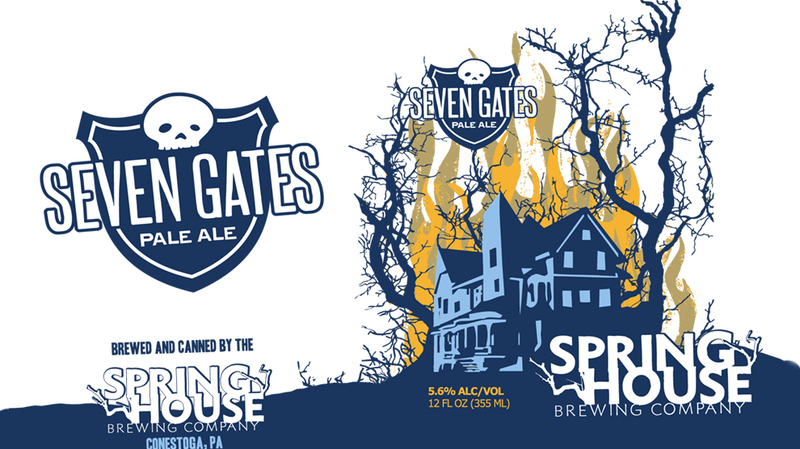 Seven Gates’ label pays homage to the local legend, with an artistic twist. Leafless tree limbs surround the artist’s interpretation of the asylum, and their sharp, pointed branches look like claws. Yellow and orange flames, as tall as the trees, rise in contrast to the deep blue outline of the building. 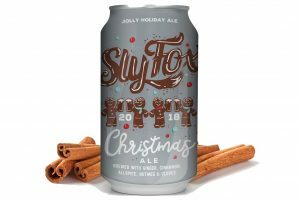 The label is the work of the creative minds at Hand Carved Graphics, a California-based design firm whose client list includes Sheraton and Adidas. Keasey says Hand Carved Graphics makes the design process super simple. “I’ll explain my idea behind the beer and the designers go from there. We might have to make one or two tweaks to the artwork, but they are great at coming up with images that incorporate elements of the movie, TV show or story it was inspired by.” This terrifyingly delicious brew possesses a mysterious quality that will haunt you from the first sip.